The area and being opposite Hampstead Heath. 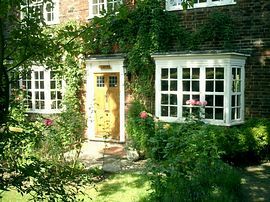 Iolanthe offers Bed and Breakfast accommodation at reasonable rates. All rooms have tea making faclities, TV and the internet is available through Wifi. Hampstead Garden Suburb is situated to the north of the village of Hampstead and was founded by Dame Henrietta Barnett in 1907. Within easy walking distance from Iolanthe and from Hampstead is Kenwood House, a Robert Adam masterpiece with glamorous rooms only recently restored to their former glory, a magnificent estate and a remarkable collection of paintings including works by Rembrandt, Vermeer, Hals, Gainsborough and Reynolds. There is an annual programme of lakeside concerts with fireworks. You can enjoy a rest in the Brew House Café which serves good food at a reasonable price. 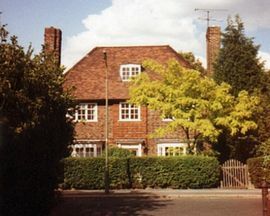 You can also visit the house where Keats lived with his friend Charles Brown from 1818 to 1820. 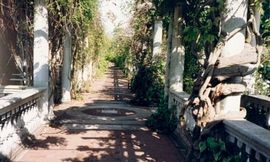 It was here that he wrote some of his best known poems including "Ode to a Nightingale" under the plum tree in his garden. Here he met and fell in love with Fanny Brawne the daughter of his neighbour, but weakened by tuberculosis, he left England in 1920 to spend the winter in Italy. He wrote to Fanny on October 24 ending the letter with "Goodbye Fanny, God bless you�.". He never returned and died in Rome at the age of 25. £28.00 to £36.00 (depending on type of room) per person per night including a full England Breakfast. A discount is available for stays of 7 nights or more. Iolanthe is open all year round. Our closest underground is Golders Green which is a 10 minute walk away or there is a local bus No H2 which runs every 15 minutes up to midnight to our road. The A1/M1 motorway is 5 minutes away.